How many of you are switching from Point and Shoot/Prosumer digital cameras to DSLRs and finding it difficult to understand the fundamental of available zoom. Point and Shoot/Prosumer digital cameras mentions the zoom in multiple of "X" , say 10x or 35X, however in DSLRs the lenses do not have any such notifications. They have just focal length in millimeters (mm). So, is a 10X zoom is more than 55mm-250mm zoom? How to evaluate, which has got better range? Which zoom is better? To find an answer to this question, we have to first bring the two types of cameras to same platform. Currently, they are like apple and oranges and cannot be compared. We have to bring everything in terms of focal length in mm on a standard scale. Let us compare both of them to "35 mm equivalent" or to the full frame camera. The size of sensor of full frame camera is 36mm X 24mm (35 mm equivalent). 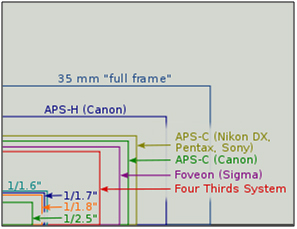 Every camera's technical specification provides the size of its sensor or the crop factor. You can find this crop factor by dividing the 36mm by longer side of your sensor dimension. For e.g., if you have a Canon APS-C body, then you will have sensor of size 22.3mm X 14.9mm. Now, divide 36mm by 22.3mm, which gives you 1.6. 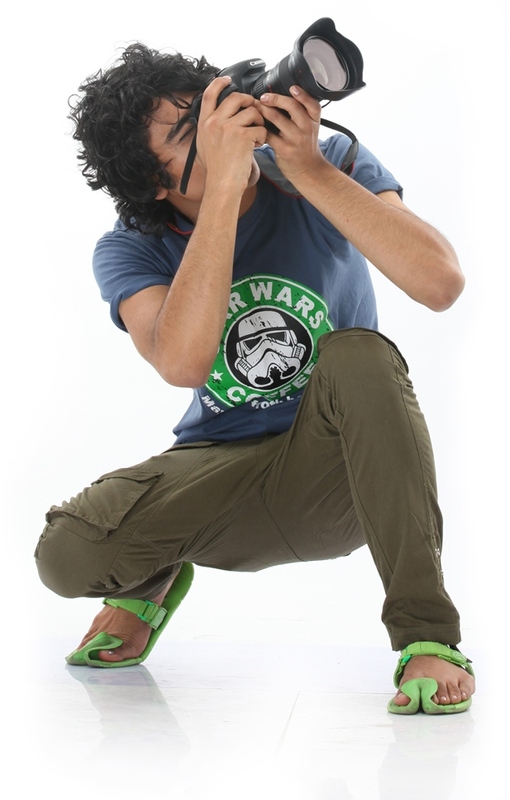 This is your crop factor. Smaller cameras, point and shoot cameras and four third systems have even smaller sensor, so bigger crop factor (refer to the image below). For exact crop factor of your camera, refer to the technical specification provided by the manufacturer. To calculate the actual focal length of your lens on your camera, just multiply the focal length with the crop factor. So, 50mm focal length on Canon APS-C is equivalent to 50 X 1.6 = 80mm in full frame format. Smaller point and shoot cameras have crop factors to the tune of 6 or 7. So even if the focal length of the lens on smaller camera is 10 mm, it is actually 60mm in "35 mm equivalent" format. Let us consider three different cameras. A point and shoot camera with 6 x crop factor and 10x zoom, a DSLR (with 1.6x crop factor) with a 55mm to 250mm lens and a Full frame camera with 55mm to 250mm lens. First look at the lens of the point and shoot camera and check what it reads. It will show you something is "mm", generally starting from around 5 mm. Since it has 10X zoom the reading would be 5mm to 50mm (5X10 = 50). Now, since the camera has 6x crop factor, we will multiply both end of focal lengths by 6 to get a "35 mm equivalent" focal length. In this case it would be 5X6 =30mm and 50X6 = 300mm. So, actually it is 30mm-300mm in "35 mm equivalent. We have DSLR with APS-C size sensor, i.e. a crop factor of 1.6X. The 55mm to 250mm has approximately 5 X of zoom (55 X 5 = 275mm). So, is that really bad compared to our point and shoot camera. With 55mm – 250mm, the actual focal length would become 55 X 1.6 = 88mm to 250X1.6 mm = 400mm. So, here we actually have a lens with 88mm to 400mm in "35 mm equivalent". For a full frame camera, a lens with 55mm – 250mm focal length will remain same, as the crop factor is 1. Can you compare now? Yes, of course. But, this does not equip you with everything related with focal length. This article helps only in understanding one aspect of focal length.